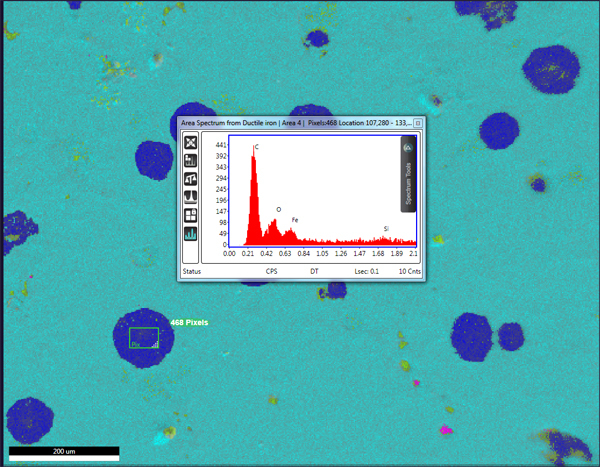 XRF – Mile High Style! Sia Afshari, Program Manager XRF, EDAX. 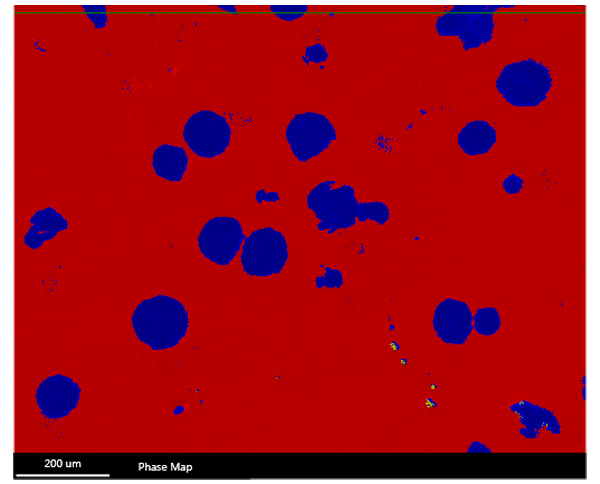 As I was heading to the Denver X-ray Conference(DXC) last week and looking at the proceeding topics, I could not help thinking about the Spectroscopy Magazine article (June 2015) on X-ray Fluorescence topics and the future of the technique. I tried to set my expectations accordingly! The experts quoted came mostly from academia, however the article is worth a glance, particularly for those whose interest lies with future developments and trends in this field. DXC is special to x-ray techies since it is entirely dedicated to x-ray analysis and with its many workshops, posters, and highly technical papers, it is a great place to learn, expand one’s x-ray knowledge, and meet some of the leading scientists in the field. This being the 64th year anniversary, the DXC was held jointly with the TXRF group for the 1st time ever in the US. 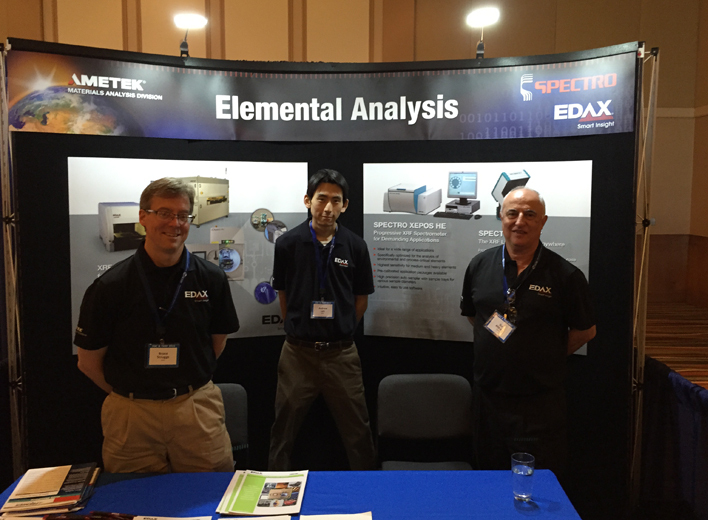 This year, EDAX had a joint booth with SPECTRO; this combination offers a wide range of XRF analysis tools from laboratory µXRF to in-line process control and everything in between! Even though DXC is not considered as a commercial venue, it is very important for any x-ray company to have a presence since “disruptive innovations” in this field are often presented there. One cannot beat the B2B aspect of the DXC, where one can view the latest advancements and discuss technical subjects in detail with each of the vendors. EDAX and SPECTRO – DXC Booth. Even though the repetition of some papers (with better graphics though) is a concern to the organizers, there were several interesting papers this year. 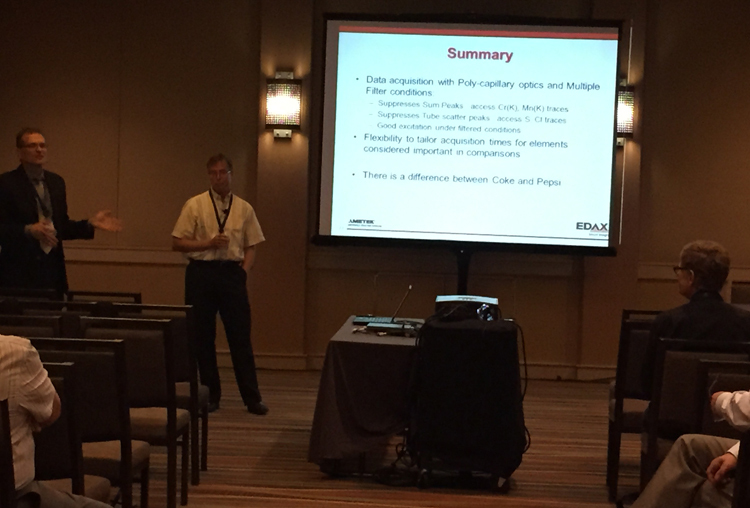 I have to admit that our own Dr. Bruce Scruggs’ paper was well received and was one of the most interesting presentations. Bruce proposed that by analyzing different parts of a spectrum under different set up conditions (tube energy, filter, etc.) one can achieve a higher degree of accuracy and precision. Presentation by Dr. Bruce Scruggs. On the way home thinking of the Spectroscopy article again, the papers that I attended, and my discussions with various vendors, I am excited about the future of the XRF and in particular about our roadmap! The new components on their way to the market will enhance our existing position and help us in the expanding sector of process and in-situ analysis. The only question in my mind is, do we want to spend a few hundred hours in preparation to conduct a workshop next year that covers the entire subject of counting statists and errors in XRF measurements?